Ever wonder what onions, garlic, cabbage, kale and eggs have in common? Beside being healthy, they all contain large amounts of sulfur. As the third most abundant mineral in the human body, this nutrient plays a key role in liver function, energy metabolism, amino acid synthesis and more. Some people, though, may develop sulfur intolerance and experience adverse reactions when ingesting too much of it. Read more: How Does Sulfur Help the Body? Sulfur is an essential mineral that occurs naturally in a wide range of foods, such as cabbage, leafy greens, dairy products and meat. It's an important component of cysteine and methionine, two amino acids that are required for glutathione synthesis. Also known as the master antioxidant, glutathione scavenges oxidative stress, supports liver health and helps transport amino acids across cell membranes. According to a 2014 review published in Integrative Medicine: A Clinician's Journal, this compound plays a vital role in mitochondrial function, cellular proliferation and the production of several antioxidant enzymes. The human body needs sulfur to produce optimum doses of glutathione. As WebMD notes, many people take sulfur supplements to relieve allergies, menopause symptoms, shortness of breath and upper respiratory tract infections. The mineral contains antibacterial properties and may help in treating certain skin conditions, such as acne, warts and red skin patches. However, most of these claims lack scientific evidence. So far, the FDA has approved sulfur as an active ingredient in shampoos and other hair products that fight dandruff. Approximately one in 100 people are sensitive to sulfites and sulfur. Researchers can't tell what causes sulfur intolerance or sulfur toxicity; this condition may occur anytime. Individuals with ulcerative colitis (UC) and irritable bowel syndrome (IBS), as well as those who have asthma, appear to be at risk. After ingestion, sulfur is broken down into hydrogen sulfide by gut bacteria. This byproduct may cause gas, bloating, stomach pain and digestive distress. If you suffer from ulcerative colitis, your body produces higher amounts of hydrogen sulfide. Over time, this gas may affect the lining of the colon and worsen your symptoms. 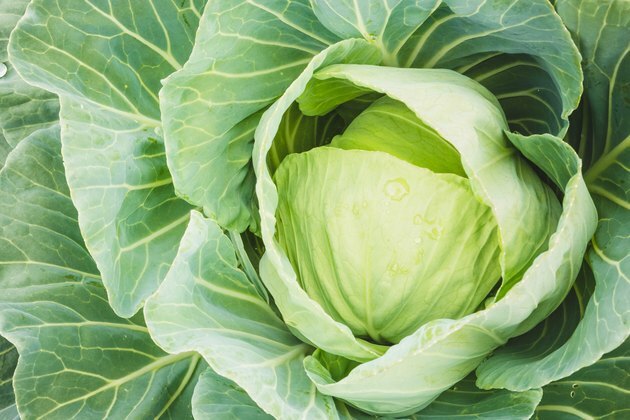 Even healthy people can experience bloating and gas after eating cabbage, broccoli, eggs and other sulfur-rich foods. According to a 2016 study published in the World Journal of Gastroenterology, eating too much sulfur can have a negative impact on those with inflammatory bowel disorders (IBD). Health experts recommend that people who suffer from ulcerative colitis avoid high-sulfur foods like nuts, eggs, red meat and cruciferous veggies. Another 2016 study, published in the journal Trends in Molecular Medicine, has found that hydrogen sulfide may cause inflammation in the GI tract. This compound breaks the mucous layer that surrounds the gut and protects it against bacteria and toxins. Therefore, high levels of sulfur in the body may worsen IBD symptoms. Some people may develop sulfur intolerance, and if you fall under this category, you may experience skin irritation and rashes, watery eyes, difficulty breathing and other allergic reactions. However, these symptoms are more likely to result from exposure to sulfites, and not from dietary sulfur. Some experts say that sulfur intolerance may also cause joint pain, gas and bloating, constipation, headaches, brain fog and tiredness. Eczema and urticaria are common too. These symptoms are due to the fact that your body cannot properly metabolize sulfur. Clinical evidence concerning sulfur toxicity and intolerance is limited. Most studies confirm the potential risks of sulfites, not sulfur. Sulfites are commonly added to jams, baked goods, dried fruit, wine, pickles, apple cider and other foods. If you experience any unusual symptoms after eating or drinking these substances, consult a medical professional to determine the exact cause. NCBI: Integrative Medicine: A Clinician's Journal - Glutathione! Cell.com: Sulfide as a Mucus Barrier-Breaker in Inflammatory Bowel Disease? WebMD: What Is Sulfite Sensitivity?